SumTotal Learning Management is an enterprise learning management solution that connects the dots between the skills and competencies people need to be better at their jobs, delivered in the context of what they are trying to accomplish and prepares the organization for tomorrow, to measurably improve performance. Work for SumTotal Learning Management? Learning about SumTotal Learning Management? "An LMS With a TON of Features!" This LMS software had a wide swath of features. We use it to upload our courses that we create in house and deploy them to thousands of people. We are also recently able to provide this content on a mobile platform using the mobile app provided by SumTotal on Android, iPhone and Windows Phone. We have had a few issues here and there that are extremely specific to the tasks that we have. The biggest issue so far being that the mobile apps, only on iPhone and Windows Phone currently (but not android), have an issue regarding the "Done" button. If the learner happens to click that button it will actually remove all progress from what they have done in the course. We have asked SumTotal to consult their mobile developers to see if this is something they can address. There is also a small bit of confusion that we have regarding re-uploading courses to the LMS after changes have been made. The questions that are prompted from the system are a bit ambiguous. This is a great and fully featured LMS, but we are currently working with them to address some issues with the mobile version of their online learning application. At this point there are still multiple issues we are having using the mobile software. We upload courses that we build in house, usually using Articulate Storyline, to our custom version of the LMS. We then deploy the courses to be taken and score tracked to thousands of employees. They have a wide offering of pre-loaded course content. We looked through a library of about 2000 courses that could be auto-pulled into the LMS platform. Helped our company since we lacked a development/training office. Not as user-friendly or as visibly appealing as platforms like Bridge LMS or Torch LMS. Look at a few other LMS platforms out there. We went from SumTotal to Bridge LMS and much preferred the latter. There are great offerings out there beyond SumTotal. Don't sell yourself short if you have the budget. Go with a better provider. Needed to provide critical training (e.g., compliance, regulatory, best-practice, safety, etc.) to employees on large scale level, but did not want to reduce productivity by requiring employees to attend several in-person training sessions. What Corporate LMS solution do you use? A modern look compared to some of the older Sumtotal Products. Don't upgrade now. Maybe the product will get better as time goes on. I haven't realized any new benefits. Supposedly the reporting is much better in this version of the LMS but we have yet to see any benefits or solve any problems with this upgrade. "SumTotal is what you put into it"
Sumtotal has a robust LMS platform that works as it should. They also have "plug and play" professional development courses that are available. Like any other LMS, it is what you put into it. You will need to do some HTML work and customization to get it to work and look the way it should. It has great learning capability and the ability to be customized. It has the capability to provide onboarding if you do some work on it. "Do not use SumTotal for any Talent or Learning Needs"
The new interface can be customized to our liking. •	Performance Stage Tasks can’t assign based on job title. •	Versioning does not work. •	Can’t delete an activity if users have already registered. •	Can’t remove a subscription link if users have already registered to the activity. •	Cannot designate users as proxies for others. •	Clunky for managers to view all courses currently on a user’s timeline. Run far away. Utilize something not haphazardly put together. We have not been able to resolve many business problems. The product never just works. Reporting is lacking. No BI tools. "Bundled Saas With Few dropouts "
"SumTotal Enterprise in the Cloud - Social, Analytics, Mobile"
I like the flexibility of the core LMS. You have the freedom to configure just about any type of learning program as is needed. I also like the flexibility with the news page. After some initial professional service, we are now able to create our own custom landing pages. I also really like working with SumTotal, the company. They are genuinely invested in their customer's success. Great customer service! The administrative mode requires skill and conscientious administration for good result. This is not an LMS for newbies nor is it for someone seeking a "simple solution". I also wish the upgrade process were more streamlined. While we get the attention we need when things don't go as planned, it'd be better if they could just be less worrying. Take plenty of time to establish your requirements before implementation. If you buy and are planning your implementation, worry less with getting all of your historical data into the system. Spend your time insuring coordinators are prepared to administer the system for core learning needs. We are delivering our employee, reseller partner and support partner education on this system. The back-end savings of doing it all on one system is huge. "Sum Total Learning Management System - Maestro"
Ease of use. It allows customization to a specific group inside of your company and automatic assignment to New Hires if you set up you Learning Plan to work with your security setups. Not much that I dislike at all. Occassionally an issue may arise from the new features they add but they fix it pretty quickly. Advanced Reporting occassionally takes a long time to pull up. Have your plan set on what you want to execute before you start your configuration. Knowing what you want to use it for completely before starting that path will make your life a lot easier and the product launch more successful for you. We have external customers who use our system and they cannot have access to all of our training items so the security allows us to lock them to what we want them to have access to. I have also been able to add a Sister company to our LMS with absolutely no worry that they will see our top secret product training coulrses due to proper security setup. "Stable and reliable system, poor UX and reporting"
We rarely had any system downtime. Since we house'd the system on-premise, we had the advantage of creating custom web applications that draw data directly from the SumTotal LMS database, allowing us to creatively show stats/content in a personalized fashion. Reporting is a mess. Every attempt creates a database entry for the user, cannot draw the latest/greatest attempt. Its hard to create a self-serve culture with all the reporting limitations. Management and leadership is always on hold, constantly requesting updated reports, bogging down the administrators who run reports and provide updates. Make sure you have a good team of web developers that understand data-driven application development because out-of-the-box the product may not meet your needs down the line. Delivering online training, on-demand, contextual, aiding personal development, enabling users to grow professionally. SumTotal Learn is a very comprehensive LMS that has a very customizable environment. SumTotal Learn can be not intuitive for the average user at times. Where you think you are supposed to click, is not always where you need to go. The Learn system allows all users to be able to access trainings in all of the locations that are required. "Tool can be great, but be sure to take advantage of implementation"
Reporting and compliance for online training. Allows you to also charge customers directly to pay for courses via credit card. Customer support is not very responsive and it can be challenging to get our business partners to buy into the tool when we are not able to resolve technical issues quickly. Know what you really want out of your LMS. What are you going to use it for and how is it going to help your business. How can the information help you, aside from counting who has taken training? Do you intend to input skills and competencies? Will you follow through and link learning to performance management? Streamlining learning and development efforts--we have found a lot of redundancies in the organization that we have been able to cut back and centralize, making it easier for people to spend more time doing real work and less time sifting through spreadsheets and monitoring who has completed required training. "Comprehensive and flexible but complexity only suitable for mature organizations"
It is best of breed for Learning and very flexible to create sophisticated curricula and reuse content. Very strong architecture following the most advanced standards. It is so flexible that the complexity is higher than average and the learning curve for administrator is pretty large. The latter makes this solution only suitable for matured Education and L&D organizations with sophisticated needs to take advantage of such complexity. As any other enterprise solution, set the right focus on your own requirements and reserve the right time in your and your stakeholders agenda. Get commitment from senior VPs. Make sure you design and develop the right team around the solution. Used for internal and customer training, globally. The integrated platform and direction SumTotal is intendind to go is solid. EXECUTION! My experience has shown that many "out of the box" features struggle to function properly. The system is highly configurable, but that means the person choosing all the settings (thousands) needs to be very organized and system oriented to survive this process. There are things that are hard coded and unchangeable that make you question the logic. Simple things like weighting of Performance Objectives, the weighting does not add and is not easily viewable. If you set the validation that the total has to equal 100%, people struggle with this, especially if they have a lot of Objectives. The Analytics feature is still in its infancy. Much development effort is needed here. We have experienced issues in the Cloud environment. Upgrades get pushed wheather you are ready or not. When upgrades get pushed every two weeks, something always seems to break...you just can't anticipate what. Support in getting these issues fixed is not always quick. For example, our training site courses were all knocked offline and it took two weeks to get the problem fixed. No one in the company could take any online trianing for two weeks. SumTotal prioritizes things differently than their customers. They are growing quickly and resources are stretched right now. 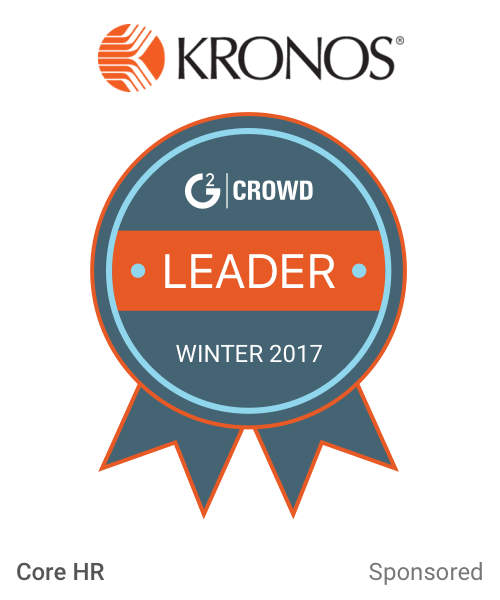 Streamlining processes and providing better data and informaiton for managers and leaders. We are able to provide better data for our managers and leaders, but not as much as we had hoped by this point in time. The flexibility that the LMS offersa round the creation of complex multi-layered curricula is very helpful for the implementation of our learning strategy. The administrator interface and usability could be more intuitive. Performing intergrated tasks can be tiresome with the version of SumTotal we are on. The reporting capabilities in the older versions could be better, sumTotal has however gotten a lot better in new releases. SaaS solution is great, customizationi can lead to issues down the line. The creation and implementation of business technical learning content to a global audience of insurance employees and help functions. The domain structure we have implemented gives us a lot of freedome within the frame work of the system making content sharing and also limitating possible. "Good LMS for end users, but can be difficult for administrators"
Good product for an end user, very straight forward and easy to login and complete required learning. User maintenance is simple, and assigning content to users is not difficult to do. Not a great product for the administrator. Reporting is not very intuitive, and can be difficult to set up and filter. There is also a lag time between when a test is completed, and when you can report on the results. Also a significant lag time between when you upload and assign a course to a user, and when they actually get the notification that the class has been assigned to them. Can be a good solution, but make sure you have well trained administrators to build and maintain the product. We needed a system to track recorded learning sessions, both from a customer prospective and internal employees as well. We were able to use the system well to make sure new hires were meeting all of their assigned learning requirements. Our company was also able to maintain a certification exam for our customers and implementation partners in the LMS. 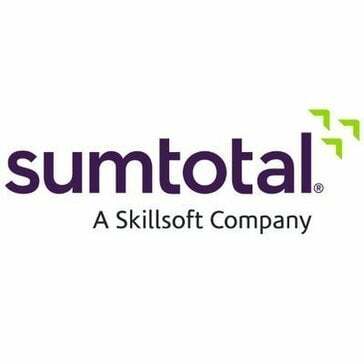 "My experience with SumTotal LMS"
I like that training is delivered to our employees on whatever platform they choose to use. We need to be able to respond quickly to our changing environments and SumTotal has given us the capability to do so. Being assigned to a busy account manager who travels all the time. It's hard for my account manager to circle back when she's always travelling. We are solving compliance training and can track and monitor the progress with reports. SumTotal is easy to use to create courses, upload content and create offerings. It's very straightforward and provides you multiple menus to add information. The course versioning isn't very intuitive. Creating audiences and making training assignments is quite time consuming and bulky. The way we assign training via competency modules isn't an easy task in SumTotal. The reports function is practically impossible to use. It doesn't make any sense on creating reports - there are too many variables to choose from. Would like to use one LMS system for all our training needs - SumTotal limits how training is assigned and to whom. Have been able to successfully utilize the system for course registration and tracking. The system is reliable. Never crashed and minor bugs were handled quickly through support. I believe it is worthy for large scaled enterprises. Ability to create assessments and track scoring is super useful. Lack of of technical support from company. Disappointed in the technical depth of individuals, as it is software they are selling. Also the course builder was clunky and the elearning professionals were not thrilled with the tool. ensure proper hardware resourcing, as well perform performance testing prior to go-live. "Complete Platform for e-learning and registration of training"
The reporting capabilities. The difficult to customize templates such as the attendance sheet or the diploma based on information already on the database. Registering and launching e-learning, tracking of classroom courses registration. * We monitor all SumTotal Learning Management reviews to prevent fraudulent reviews and keep review quality high. We do not post reviews by company employees or direct competitors. Validated reviews require the user to submit a screenshot of the product containing their user ID, in order to verify a user is an actual user of the product. Hi there! Are you looking to implement a solution like SumTotal Learning Management?